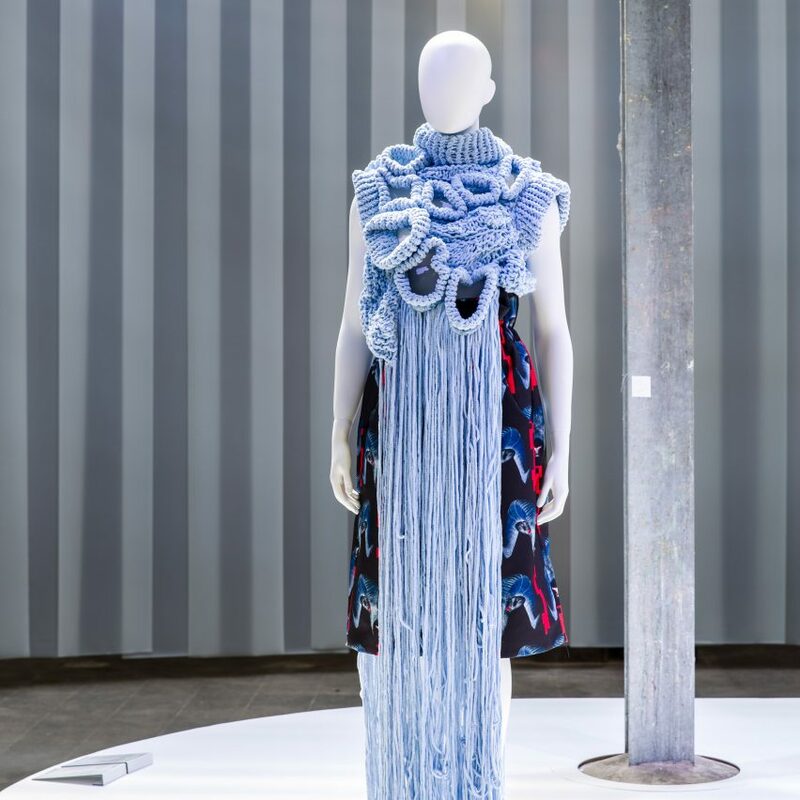 There are 50 examples of sustainable fashion on show in the Netherlands for the inaugural State of Fashion exhibition, including textiles created from salvaged plastic bags and shoes made of fish skins. In a Dezeen exclusive, curator José Teunissen reveals her highlights. 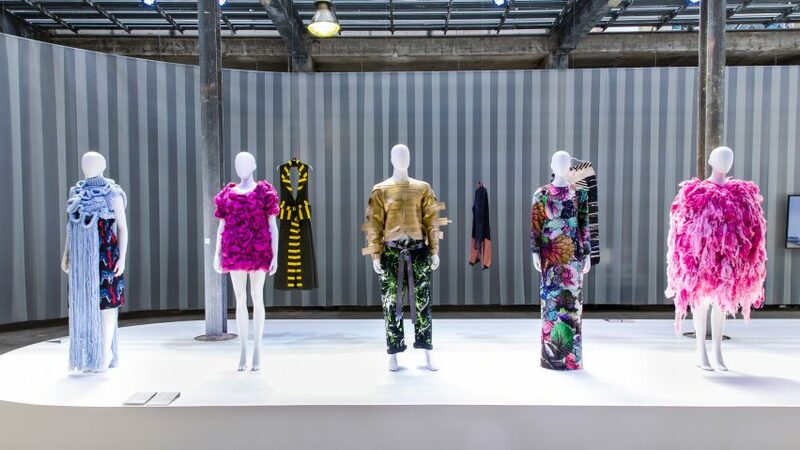 Currently on show at De Melkfabriek in Arnhem, State of Fashion 2018: Searching for the New Luxury explores how fashion can more sustainable, through the introduction of new techniques and innovative technologies. 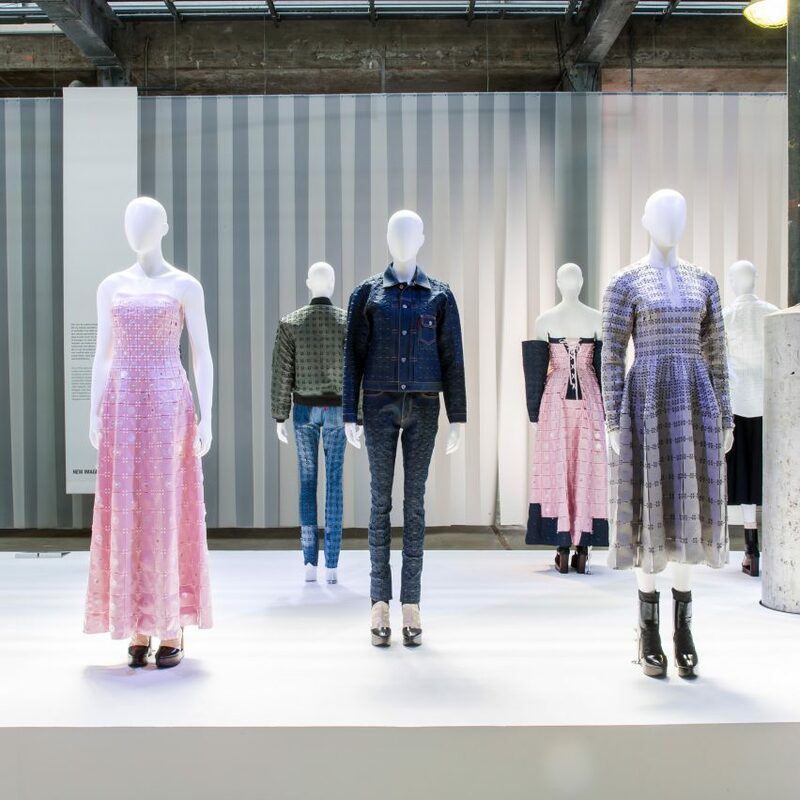 Featuring works by Vivienne Westwood and Stella McCartney, as well as emerging studio like Orange Fiber and Rafael Kouto, the exhibition is a response to the major upheaval the industry is facing, as customers become increasingly aware of how wasteful and exploitative it is. “It’s a fundamental rethinking of what fashion is,” explained Teunessen, who is dean of design and technology at the London College of Fashion. Teunessen’s exhibition revolves around a manifesto, which tries to define what fashion’s new luxury might be. Eight hashtags – #imagination #agency, #essential, #tech, #care, #reuse, #fairness and #no waste – accompany the project descriptions. “It is called Searching for the New Luxury because we don’t have an answer yet,” said Teunessen. State of Fashion is a new quadrennial fashion event, replacing the Arnhem Fashion Biënnale. The inaugural edition continues until 22 July 2018. London-based fashion and multimedia studio VIN + OMI is a pioneer of sustainable fashion that has been developing eco-textiles since 2004. Its latest collection, We Are Not Sheep, reflects the duo’s passion for tackling environmental issues. 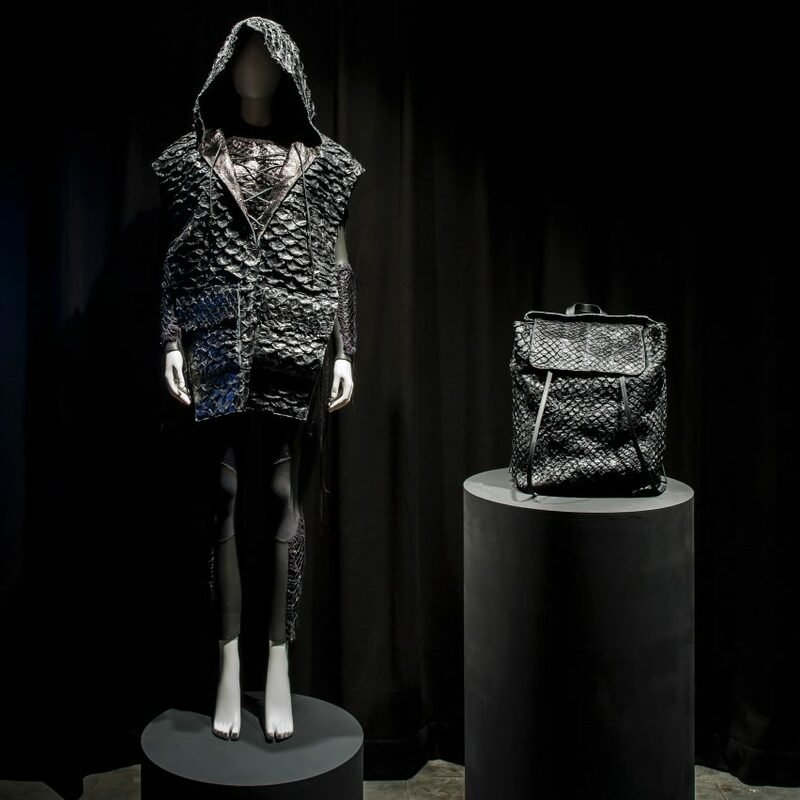 VIN + OMI has produced 12 unique fabrics, four of which are exhibited: rPET, a textile from salvaged ocean plastics; sustainable (and biodegradable) latex supporting communities in Malaysia; no-kill fleece obtained from pet llamas; and 4Ganic, a plant fabric. Japanese designer Yuima Nakazato has developed a unique digital-fabrication system that allows you to make partial updates to garments, so your clothes could potentially last for a lifetime. The system allows various materials like cotton, nylon and wool to be combined freely without the use of needles and threads. For this line of accessories, the brand uses the skin of the pirarucu, one of the largest freshwater fish in the world. “Osklen is a really important luxury brand in Brazil,” said Teunissen. “For 10 years, designer Oskar Metsavaht has been working together with Instituto E, a foundation that supports local communities. Osklen uses Pirarucu from the state of Rondonia, working with farmers to safely grow the fish while protecting the Amazon and supporting the local population. Compared to cattle farming, this model generates lower CO2 emissions, as farmers achieve 40 pre cent higher productivity than raising cattle on the same land. Handmade with Love is a site-specific installation featuring 100 Vivienne Westwood Ethical Fashion Initiative bags made from recycled canvas, reused roadside banners and recycled brass produced in Kibera, Nairobi’s biggest slum. 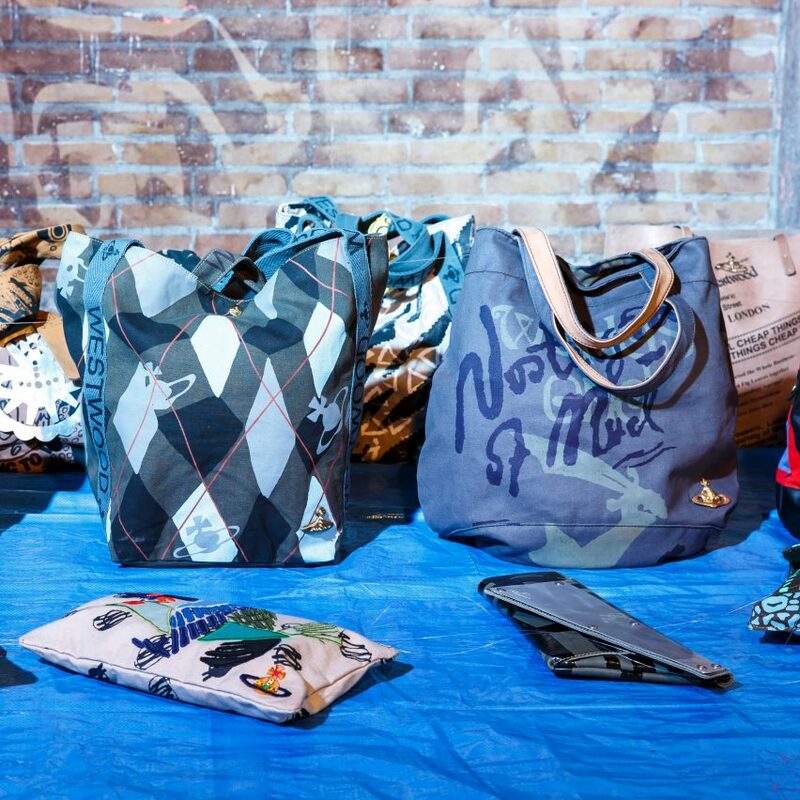 “This is a project that Vivienne Westwood is undertaking with Ethical Fashion Initiative and the United Nations, working with local craftsmen in Nairobi, Kenya,” said Teunissen. 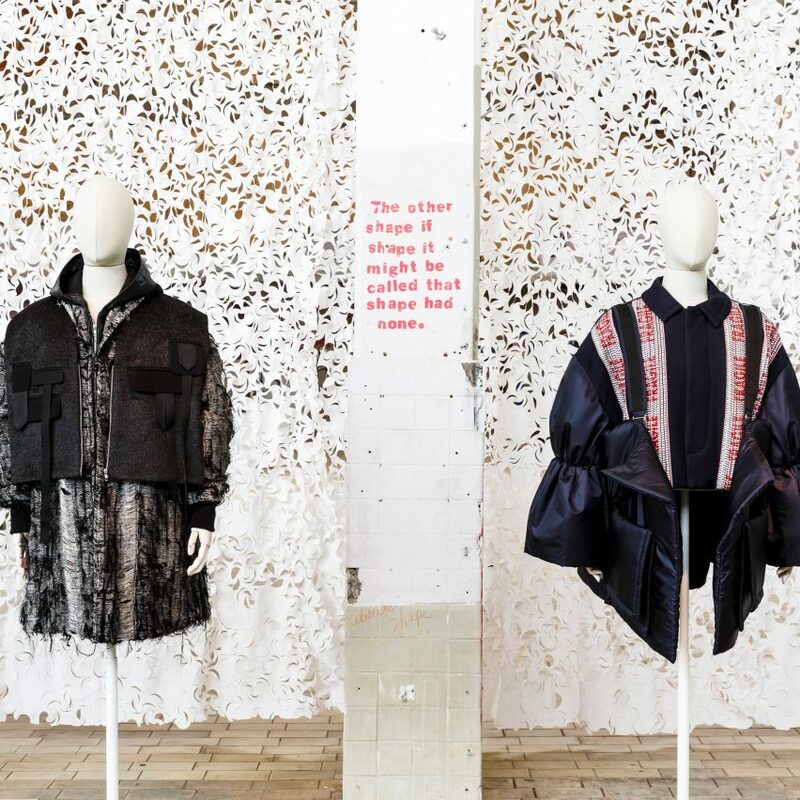 “This is a collaborative project by the Zegna Foundation working together with a youth rehabilitation community in San Patrignano and the London College of Fashion (LCF) with a women’s prison in England,” said Teunissen. San Patrignano, located in Northern Italy, is a recovery community that rehabilitates youth through therapy. Hand weaving is one of the main activities in the community. Since 2013, Fondazione Zegna has been supporting the workshop in order to promote craftsmanship, support community development and modernise the artisanal techniques to meet fashion market expectations. Meanwhile, LCF coordinates Making for Change, their fashion training and manufacturing unit within HMP Downview women’s prison in England. The project aims to equip inmates with professional skills in a supportive environment.